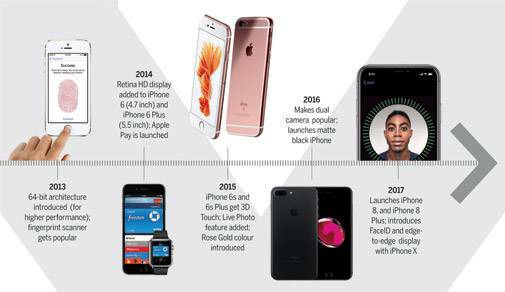 From incremental updates to radical changes - the new iPhones have set the tech world abuzz. Here's everything you need to know. 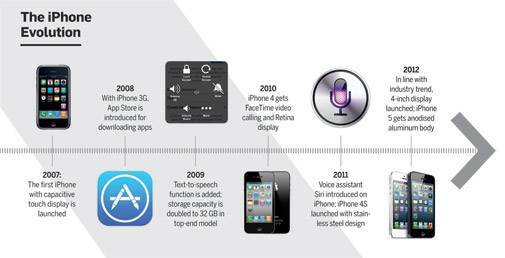 On its tenth anniversary, Apple was expected to put its best foot forward. "The first iPhone revolutionised a decade of technology," Apple's CEO Tim Cook said at the launch event held in Cupertino. Now, 10 years later, he said, Apple is revealing a product that is "the biggest leap forward since the original iPhone" and will "set the path of technology for the next decade". Few can contest that. On September 12, the tech giant launched the iPhone 8, iPhone 8 Plus and the magnum opus iPhone X (pronounced iPhone 10). Apple has bid goodbye to the Home button and given a bezel-less, edge-to-edge display to the iPhone X. With the Home button gone, Touch ID is gone too. Instead, the iPhone X gets unlocked using FaceID. Apple has reassigned several actions hitherto linked to the Home button - swiping up from the bottom takes one to the home screen; swiping up and pausing gets one into multitasking; pressing and holding the side button activates Siri; and double click on the side button enables purchases with Apple Pay. The all-glass front and rear makes the iPhone X look dainty, but Apple claims it has used the most durable glass with surgical-grade stainless steel band, making it water and dust resistant, too. It now supports wireless charging using the Qi ecosystem. 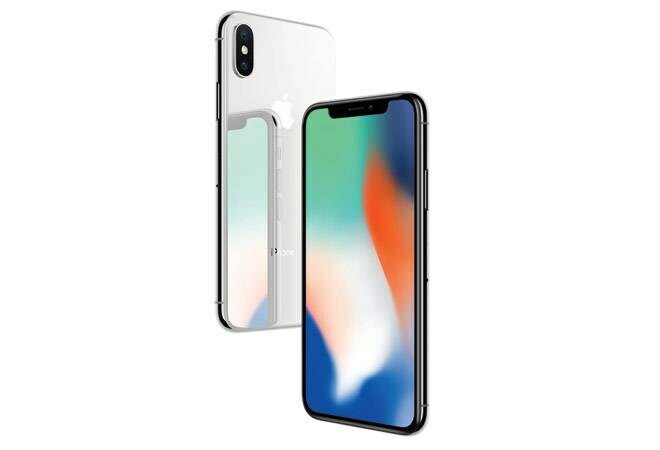 The iPhone X sports a slightly larger screen - 5.8-inch OLED Super Retina display with 2,436x1,125 resolution that offers accurate colours with true blacks, high brightness and 1,000,000:1 contrast ratio. At the top of the iPhone X is the TrueDepth camera system that comprises a 7-MP camera, infrared sensor, flood illuminator, proximity sensor, ambient light sensor, dot projector along with a speaker and a microphone, which enables FaceID and Portrait-mode selfies. FaceID is a technology that can project and analyse more than 30,000 invisible dots to create a precise depth map of one's face with the help of the infrared camera and flood illuminator. The infrared camera reads the dot pattern, captures an infrared image and sends it to the Secure Enclave in the system chip to confirm a match, while the flood illuminator is the invisible infrared light that helps identify faces even in the dark, that too in just a fraction of a second. Interestingly, FaceID works even if one grows a beard, puts on glasses or wears a hat. Unlike Samsung Galaxy S8's facial recognition feature, Apple claims FaceID is secure and designed to differentiate real faces from photos or masks. The rear camera of the iPhone X features a redesigned vertical 12-MP dual camera system with dual optical image stabilisation with '/1.8 aperture on the wide-angle camera and '/2.4 aperture on the telephoto camera. Expect a new colour filter, deeper pixels and an improved Apple-designed image signal processor for wide colour captures, faster auto-focus in low light and better HDR photos. In a bid to give augmented reality (AR) a push, Apple has custom-tuned every camera to give an enhanced AR experience. The iPhone X is powered by the all new A11 Bionic chip featuring a six-core CPU design with two performance cores that are 25 per cent faster, and four efficiency cores that are 70 per cent faster than the A10 Fusion chip used on the iPhone 7 Plus. The new chip integrates Apple's own GPU (graphics processing unit) with a three-core design that delivers up to 30 per cent faster graphics performance than the previous generation. The A11 Bionic neural engine is designed for specific machine learning algorithms. There are no design upgrades in the iPhone 8 and iPhone 8 Plus. But both these iPhones have a glass design. The Retina HD display has been sharpened to offer better brightness and richer colours. There is TrueTone display that automatically adjusts the white balance to match the surrounding lighting. The iPhone 8 has a single camera with optical image stabilisation that claims to offer better low-light imaging. The iPhone 8 Plus boasts a dual camera with a facial landmark detection feature that creates dramatic studio lighting effects in the Portrait mode. Both these new iPhones support wireless charging and are powered by the A11 Bionic chipset. The new iPhones will be available in 64 GB and 256 GB capacities only (the 128 GB variant has been skipped). The iPhone 8 and iPhone 8 Plus will be available in space grey, silver and gold colours, whereas the iPhone X will be available only in space grey and silver colours. The phones will be available in India in the second launch phase, just a week after they hit the shelves in the US. iPhone aficionados will be able to get their hands on the iPhone 8 (starting at Rs 64,000) and iPhone 8 Plus (starting at Rs 73,000) in India from September 29. Meanwhile, the iPhone X will go on sale on November 3 in over 55 counties, including India, at a starting price of Rs 89,000 for the 64 GB variant.